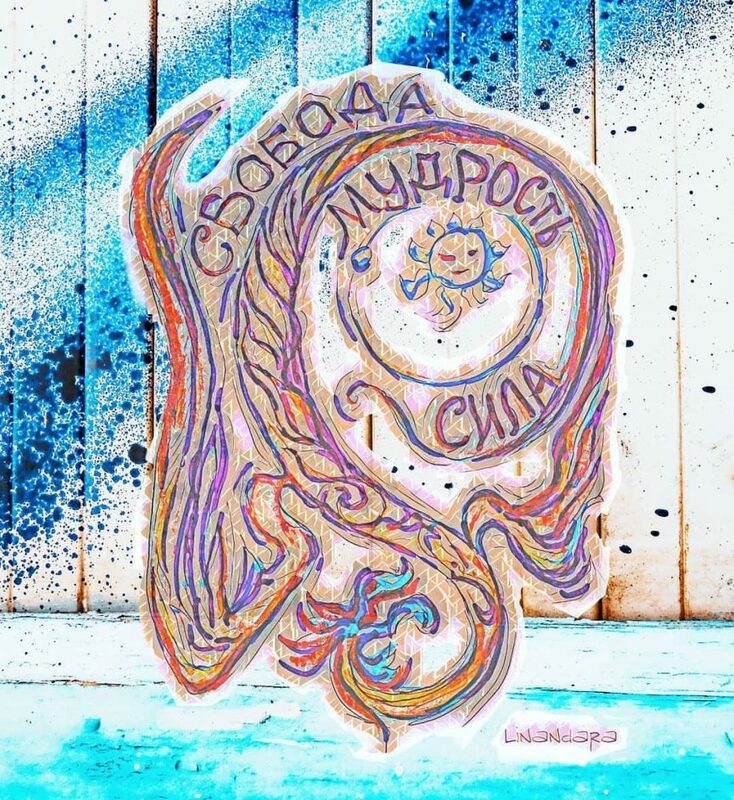 Свобода, Мудрось и Сила с драконом // #Freedom, #Wisdom and #Strength with Dragon in #Russian – Art Prints and t-shirts. #Fantasy inspired #design with a #mythical winged #serpent beast and #cyrillic #handwriting. Blue, orange, #turquoise and purple. Strengthen your values and ideals by wearing them. This it available in several colors on several things. Tagged artprint, artprints, cyrillic, design, fantastique, fantasy, FantasyArt, fantasydecor, fantasyillustration, fashionprint, folklore, freedom, giftideas, Handwriting, linandaras_art, magicalthings, mysterious, mystery, mythical, print, printondemand, russian, serpent, strength, symbol, symbolism, turquoise, wisdom.